Posted on May 10, 2006 by Alicia Bay Laurel	in Blog. 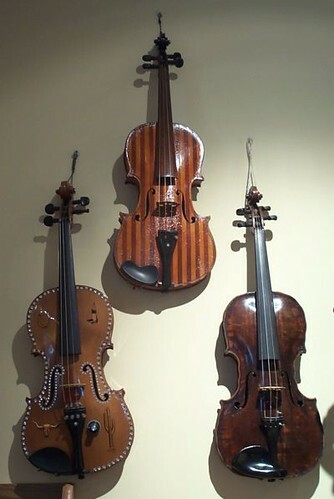 Robert Cauer’s legendary by-appointment-only shop in Hollywood builds, sells, repairs and accessorizes violins, violas and cellos; on the walls of the waiting room hang Cauer’s collection of historic and bizarre violin permutations that he acquired at auctions over the years. 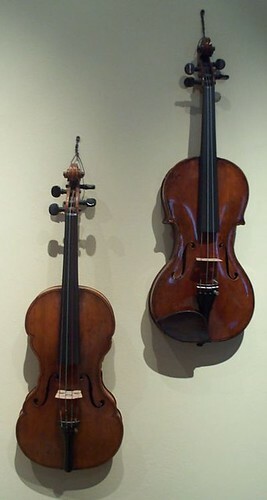 A Stroh violin, invented in the late 19th century by John Matthias Augustus Stroh, a German-born mechanic and inventor living in London and the first person to build a phonograph in England. 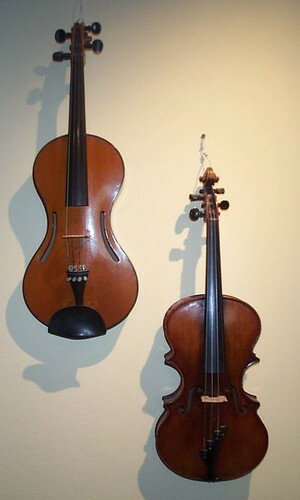 In the early days of recording on wax rolls, violins did not generate a strong enough signal to record easily, so Stroh added a conical aluminum diaphragm and a large horn to transmit the sound toward the recording horn transmitting the sound to the needle imprinting the wax roll. 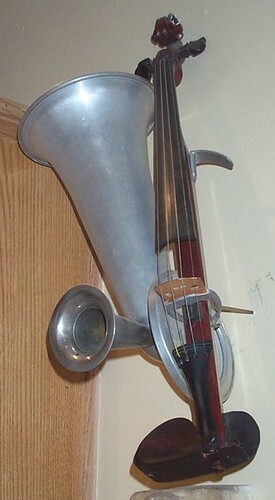 Stroh added a smaller horn so the musician could also hear himself play. With the advent of the microphone and electric recording in the mid-1920’s, demand for the Stroh decreased, leaving only violinists wanting a louder sound for live performance. 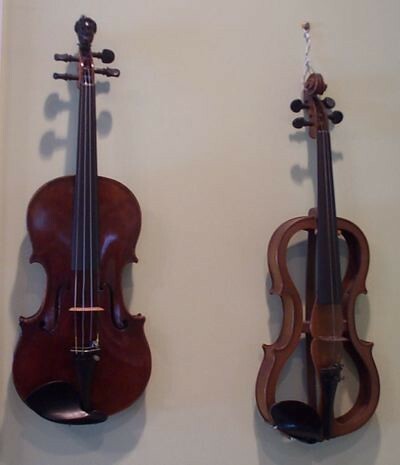 Discontinued from manufacture in 1942, the Stroh violin lives on in collections like Robert Cauer’s, in the occasional novelty act, in Tom Waits recordings, and in the Biho region of Transylvania, where their odd, somewhat nasal sound is highly prized. You can still buy one today. 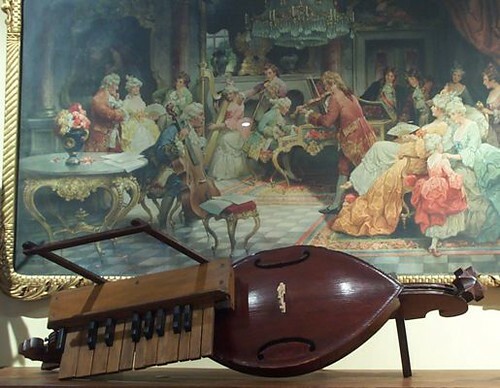 More wonderful collections of unusual stringed instruments here and here.